The 16th June 2010 edition of The Indian Express brought a mixed feeling of pride and perplexity. The news was headlined “Green Rashtrapati Bhawan to get ISO certificate”, and the word ‘green’ struck hard. The city is already proud of being termed the greenest city in the country with the chief minister being hailed as the greenest CM. Now Delhi will is now on its way to get another feather in its green cap. Set for next month, the ceremonial visit by independent auditors from the Bureau Veritas Certification (BVQI) will have the honour of visiting the Rashtrapati Bhawan and scrutinize the expansive estate as part of the first phase of the auditing process that will ultimately lead to certifying the 340-acre facility with an ISO 14001:2004 mark. The Bureau Veritas Certification (BVQI) is a global leader in systems certification services and authorized to give the much sought after ISO certification (International Organisation for Standardization). 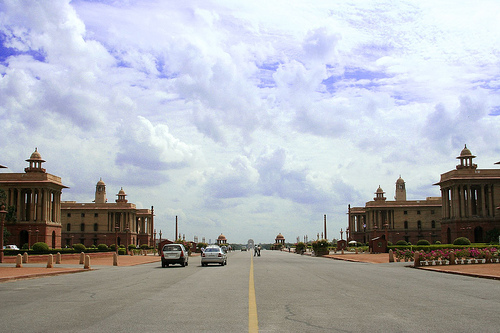 After all is said and done, the Rashtrapati Bhawan–official residence of the President of India–will become the first urban dwelling to receive an ISO certification. It would be a proof that the President’s estate is an urban dwelling that uses processes that are eco-friendly and energy saving. The ‘final certificate’ will be given by the United Kingdom Accreditation Services (UKAS), recognized worldwide as the topmost accreditation agency. The Hon’ble President of India, Smt. Pratibha Devisingh Patil has already inspired the staff at the Rashtrapati Bhawan to go green and instructed to make the President’s Estate green. Her vision is to make the President’s Estate an eco-friendly, green, energy efficient and zero waste model habitat, leaving minimum carbon footprint, through community participation, resource conservation, pollution prevention, environmental improvement and sustained quality up-gradation through several measures. Her office has already made a plea to the general public in offering valuable feedback and suggestions. “Under the directions of the President, we had applied for the ISO 14001 certification last month to ensure that the President’s estate is recognised, established and maintained as a model eco-township,” Christy Fernandes, secretary to President Pratibha Patil told The Indian Express. He also told the newspaper that the BVQI auditors will visit Rashtrapati Bhawan on June 21-22 while the final auditing by UKAS will be done in the first week of July. Getting the honour along with the certificate before the Commonwealth Games 2010 will definitely put Delhi on a greener spot in the tourism map. Wonder if UK has a better plan behind the ordination of such certificate. After all it’s the ‘Commonwealth Games’ year that Delhi is so proudly hosting. The green citizens are still majorly confused if they should support or protest against the hosting of such Games. More or less, a green politics isn’t a good option for a city like Delhi, when sustainable development is being challenged as never before and the cost of promoting it as the ‘World Class City’ is weighing heavy on the janta’s pocket. I will like to keep Green as simple as the leaves that follow a natural cycle of coming alive up in spring and falling during the autumn. Being obedient to nature and fulfilling the need of the environment! hoping it get done soon, and BE A ROLE MODEL for many of such institutions, so that its proved that NATURE and DEVELOPMENT together make a good share.